Experience pain relief, stress relief, and an improved range of motion with our comprehensive massage therapy in Edwardsville, IL. Jay takes great care of your mind and body with massage therapy services that help you feel like a whole new person. After just one session, you'll be ready to take on the world. Jay is a very experienced massage therapist who has trained in a wide variety of modalities. Whether you're looking for a Swedish massage or myofascial release, he can help. In addition to his expertise in massage, Jay has worked with every skin condition known to man, so he can make sure that your personal needs are met. He is very empathetic and sincere with his clients, and he wants to do everything he can to help you. Please check back for more information on booking an appointment online. Refer a friend and then book your next massage for free. If you need help with pain management, contact Jay Worthey LMT in Edwardsville, Illinois. In business for over 13 years, Jay has received advanced training in bodywork, including structural integration, which can help restore your postural balance. If you're suffering from stress, an injury, or repetitive movements at work — Jay can loosen you up. 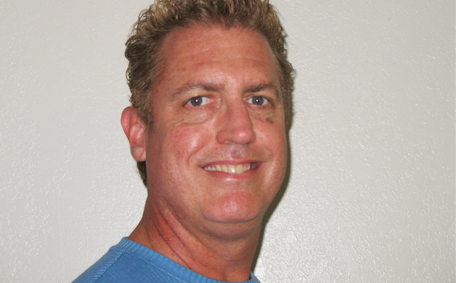 Jay Worthey is very passionate about massage therapy, and he loves to help people. With Jay, you can have peace of mind knowing that you're in good hands. Contact him today via phone, email, or Facebook. Jay offers a chair massage service for special events — call for details. If he doesn't answer the phone immediately, he will get back to you as soon as possible. Jay Worthey is also an independent contractor who works with West 708 Salon and Spa in Jerseyville, Illinois. As an experienced, trained, and certified professional at therapeutic massages, Jay knows how to ensure that the services he provides is within your comfort level. If you wish to receive less or more pressure at any time, let us know. At the end of the session, you’ll feel more relaxed and enjoy reduced muscle tightness. The muscles in your body interact uniquely with specific bones and joints. Due to your body’s complexity, it’s important to use a trained and experienced massage therapist when you need a massage. A therapeutic massage dramatically enhances your vitality and well-being but only when it is performed correctly. Let Jay ease any aching muscles. Therapeutic massages also work in conjunction with chiropractic care to relieve pain and stiffness in your joints. If you’re dealing with pain, allow him to identify the source and provide real relief. He doesn’t simply start massaging, but he takes the time to assess your condition. It’s important to know about things like prior surgeries, accidents, chiropractic care, and other conditions. With this knowledge in hand, Jay is able to provide targeted and effective massage therapy. Schedule a massage today at Medi-Hab Advanced Massage and Bodywork with Jay Worthey LMT, and watch your pain go away! Contact us if you have questions about our different types of massages. We proudly serve customers throughout Edwardsville, IL, and the surrounding areas.